#Providenciales, April 16, 2019 – Turks and Caicos – In three days hundreds of the Caribbean region’s top athletes will converge in the Cayman Islands for the 48th CARIFTA Games and the Turks and Caicos is hoping its huge contingent can secure a decent medal haul. Five officials, led by Head Coach, Randy Ford and President of the TC Amateur Athletics Association, Edith Skippings will accompany the youngsters who reflect a diversity of talent and schools from across the country. The ’33 Strong’ are 13 young women and 20 young men; schools making the cut including Clement Howell High, Long Bay High, Raymond Gardiner High, HJ Robinson High, British West Indies Collegiate, Wesley Methodist High, Marjorie Basden High and several qualifiers attending school in Jamaica will join the squad including Colby Jennings. Here are the names of each member of CARIFTA TeamTCI: Alexia Prince, U-17 Girls, CHHS; Dred Mondestin, U-17 Girls, CHHS; Daisy McIntosh, U-17 Girls, LBHS; Aniyah Forbes, U-17 Girls, LBHS; Archelande Joseph, U-17 Girls RGHS; Tenisha Gardiner, U-17 Girls, LBHS; Katrina Outten, U-17 Girls, MBHS; Alexis Anara,U-17 Girls, BWIC; Deajah Smith, U-20 Girls, St. Jago; Bryana Brown, U-20 Girls, BWIC; Alecia Castan, U-20 Girls, CHHS; Zoe Butler, U-20 Girls, CHHS; Rebecca Barnadin, U-20 Girls, St. Jago; Daveon Durham, U-17 Boys, CHHS; Dashawn Gray, U-17 Boys, Calabar; Wooslyn Harvey, U-17 Boys, CHHS; Anthony Louis, U-17 Boys, LBHS; Mike Legerme, U-17 Boys, LBHS; Carson Garland, U-17 Boys, LBHS; Zachary Stern, U-17 Boys, HJRH; Tayjo Oppong-Adjei, U-17 Boys, CHHS; Darvon Rigby, U-17 Boys, WMHS; Chadwin Gray, U-17 Boys, Calabar; Emmanuel Agenor, U-20 Boys , St. Jago; Darren Pierret, U-20 Boys, CHHS; Colby Jennings, U-20 Boys, GC Foster; Junior Paul, U-20 Boys, CHHS; Joshua St.Michael-Meghoo, U-20 Boys, BWIC; Claude Baptisme, U-20 Boys, HJRH; Martijn Healy, U-20 Boys, Norbertus; Bilton Gomez, U-20 Boys, MBHS; Kinsonne Noel, U-20 Boys, UNATT; Katrell Pierre, U-20 Boys, MBHS. 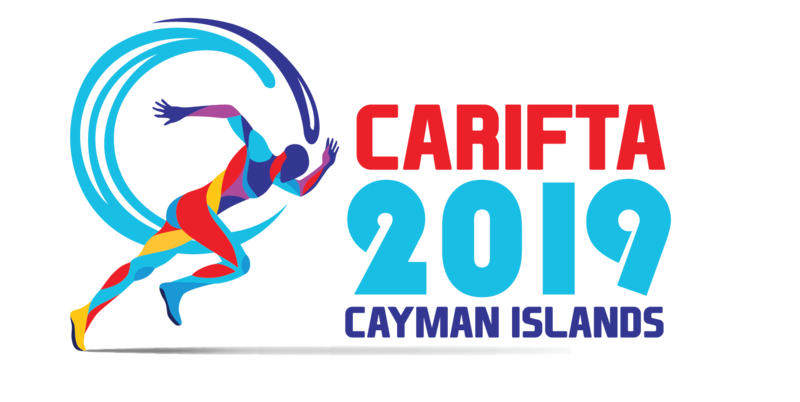 Twenty-eight Caribbean countries have registered for the 2019 CARIFTA Games, which will be held in George Town, Grand Cayman. The Cayman Islands last hosted the Games in 2010. The theme for the 2019 CARIFTA Games is: One Caribbean to the World.